Nowadays, everyone has heard of greenhouse gas emissions caused by transport. The world is aware of their impact on ecology and governments try their best to limit production of these emissions. Instead, not many people are aware of another, quite curious problem mainly caused by maritime cargo transportation specifically by vessels’ ballast water. The term “ballast” can refer to any heavy material installed on a vehicle to improve its stability. In ships, it is utilized to provide the desired draft, and hence improve the maneuverability. When a vessel is empty or carries a light cargo, the required weight increase can be provided by ballast water. The use of ballast water can be beneficial in a variety of situations, such as in correcting the vessel’s inclination. For this reason, sea men in the past have used dry ballast such as rocks and sand, as these materials are readily available on the shores. However, with the spread of iron-hull ships at the end of the 19th century, the use of dry ballast was replaced by the more convenient water ballast. Water ballast however, introduced an unusual problem. When a ship arrives to the port of discharge and unloads its cargo, and in case the next cargo must be loaded from a different port, ballast water is taken up to ensure stability. Carrying this water, the ship heads to the next port of call, which may be anywhere in the world. Upon arrival, ballast water is then discarded before the new cargo is loaded. What happens at this point is that water from one part of the world is released into a completely different area. - The Zebra mussel, native to the Black Sea, has travelled in ballast water to western and northern Europe as well as the east coast of North America. This species grows into large colonies very quickly, invading the habitats of other types of mussels, and damages harbors, ships, and water equipment. They selectively consume some species of algae, with the effect of seriously undermining the population of certain fish species whose diet is based on these algae. Moreover, the Zebra mussel also produces toxins that can kill birds. - The North American Comb Jellyfish, native to the waters of the western Atlantic, was introduced into the Baltic Sea, the North Sea, the Caspian Sea, and the Black Sea, causing the most serious effects. The population of comb jellies has grown rapidly, feeding on fish eggs of selective species, which has led to a dramatic decrease in the population of those species and a huge economic impact. The Chinese Mitten Crab, native to North Asia, has invaded the Baltic Sea, Western Europe, and the west coast of North America. They compete with indigenous crab species, hurt fishes, and damage fishing nets as well as dams and river embankments. One of the largest problems is the very high speed at which Chinese mitten crabs can spread, even inland where they are capable of impressive mass migrations. They can be found as far as hundreds of kilometers away from the sea. The first recorded evidence of organisms travelling in ballast water was reported by the Danish botanist C. H. Ostenfeld in 1908. The scientist discovered that the Odentella, an Asian phytoplankton alga, was present in the North Sea, the only reasonable explanation for this being that it had arrived in ballast water. However, about 70 years would need to pass for the world to realize the ecological threat that ballast water can pose. Australia began to suffer from invasive fish species originating from Japan and North-East Asia, the Yellowfin Goby and the Striped Goby, who affected the food chain and the biodiversity. Canada has been concerned about a type of phytoplankton, which would be toxic for the local mussels. These two countries were the first to raise the issue to the IMO, the International Maritime Organization. Despite the evidence, there were no international agreements regulating ballast water and controlling its effects until the year 2004. That year, the International Convention for the Control and Management of Ships' Ballast Water and Sediments was finally adopted. It took 13 more years until it entered into force, in 2017, after being signed by more than 60 countries. The Convention requires all the new ships to comply with the standard D2, which sets the maximum amount of organisms that can be carried in ballast water. All the existing ships have been given time until 2024 to become compliant with the standard, which requires the installation of special devices. 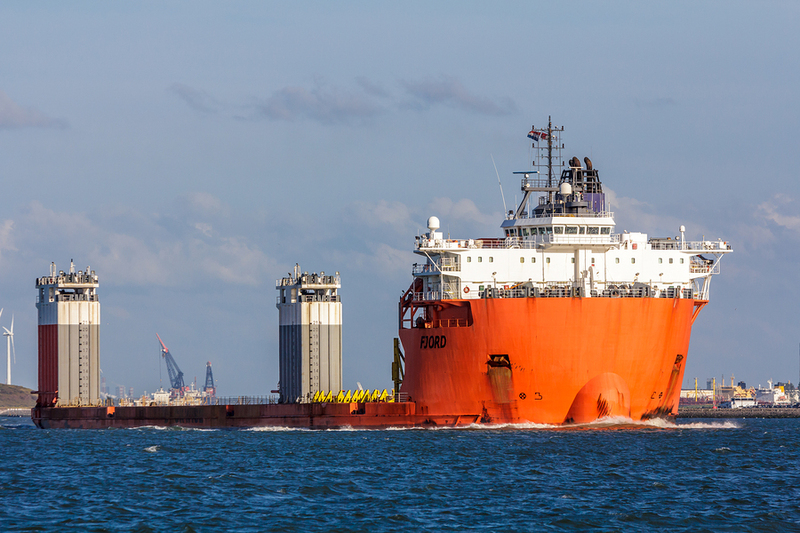 Furthermore, each vessel now has to be equipped with a ballast water management plan, a ballast water record book, and an international ballast water management certificate. Hopefully these measurements will help to prevent influence of ballast water on biodiversity. Allyn International is dedicated to providing high quality, customer centric services and solutions for the global marketplace. 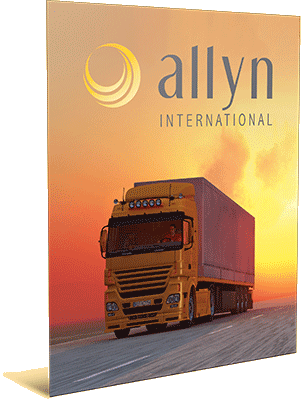 Allyn's core products include transportation management, logistics sourcing, freight forwarding, supply chain consulting, tax management and global trade compliance. Allyn clients range from small local businesses to Fortune 500 firms. Allyn conducts business in more than 20 languages and has extensive experience in both developed and emerging markets. Highly trained experts are positioned throughout North and South America, Europe and Asia. Allyn’s regional headquarters are strategically located in Fort Myers, Florida, U.S.A., Shanghai, P.R. China and Prague, Czech Republic. For more information, visit www.allynintl.com.